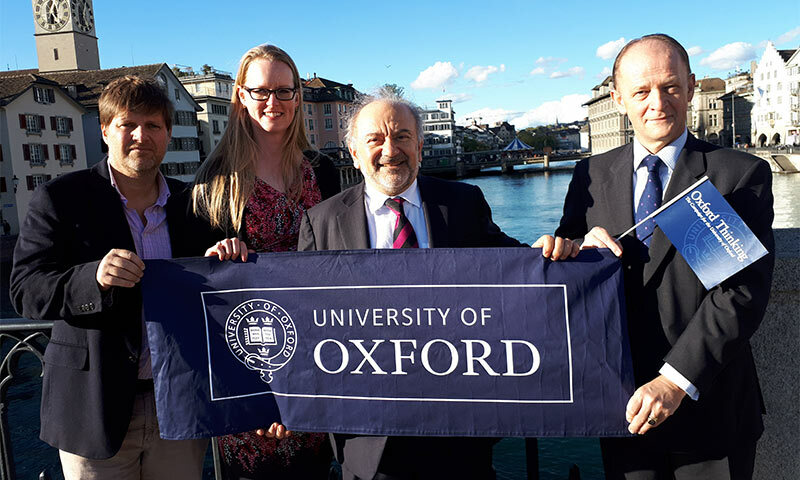 A new association has been launched in Zurich to help the University of Oxford's supporters in Switzerland make tax-efficient donations to the University and its colleges. Swiss Friends of Oxford University (SFOU) allows alumni, friends and organisations to give financial support for key projects, including capital projects, academic posts, scholarships and research programmes. It can also accept gifts in kind. The association will also provide financial support for Swiss resident students through a scholarship fund, and will organise events for its members. At yesterday's special Board meeting, Howard Rosen CBE, SFOU President and alumnus of Exeter College, said: "After close to two years of preparation, Swiss Friends is at last ready to get to work. Not only are donations from Swiss residents now tax deductible, legacies and gifts in kind are also exempt from any applicable cantonal tax. We're confident this will increase support for Oxford and look forward to welcoming lots of members." Liesl Elder, Chief Development Officer at the University, said: "This represents the beginning of a new and exciting relationship between the University and Swiss Friends. We are enormously grateful to Howard and his colleagues for all of their hard work and dedication. The new association will assist us greatly to attract more donors based in Switzerland and support the University of Oxford's vital research and teaching activities."